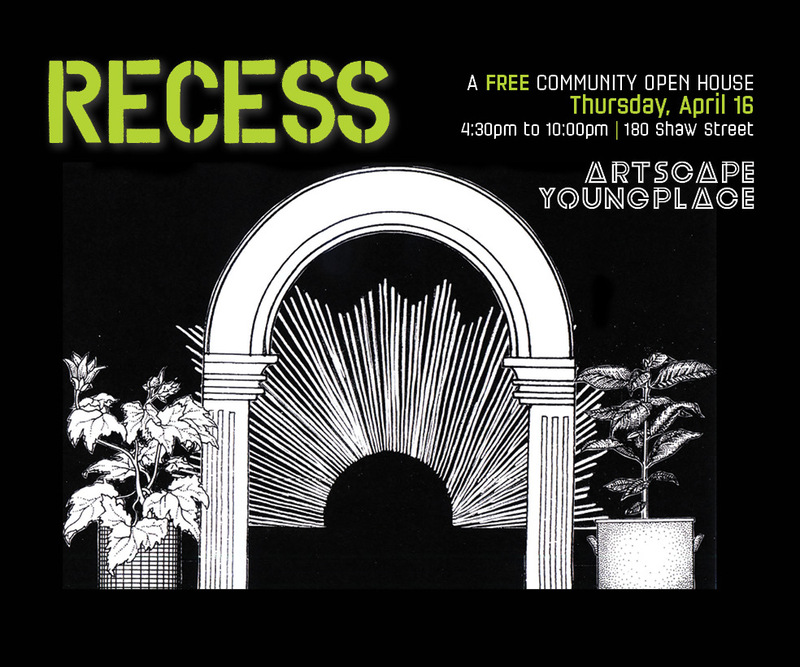 Artscape Youngplace » Blog Archive » RECESS @ Artscape Youngplace! Join artist Huda Eldardiry in creating a collaborative community mural at the entrance of AYP. Markers, crayons, and pastels provided until 6 pm. Listening Sessions with Victoria Stanton: a drop-in participatory performance in which the audience becomes the DJ, collectively building an eclectic playlist. Participants say something about the song they’ve selected which turns into a second stage of presentation: performances of memory through spontaneous storytelling. Studio 107 until 9 pm. Erratics: Spring Opening Reception @ Koffler Gallery. Exploring the tensions between memory and fiction, Erratics brings together two archives where photography takes a central role in an attempt to uncover hidden narratives. These collections of images, texts and records reveal both the impossibility of fully knowing the past and the effectiveness of literary imagination in grappling with history until 10 pm. Live musical performances in the Urban Living Lounge, featuring Charmie Deller, Renee Henry, Odane Taylor, Ramya Am U Than and Niko Young. This event is made possible, in part, due to the support of Catherine Gordon RE/MAX Hallmark Realty Ltd and the Artscape Youngplace Community Fund.